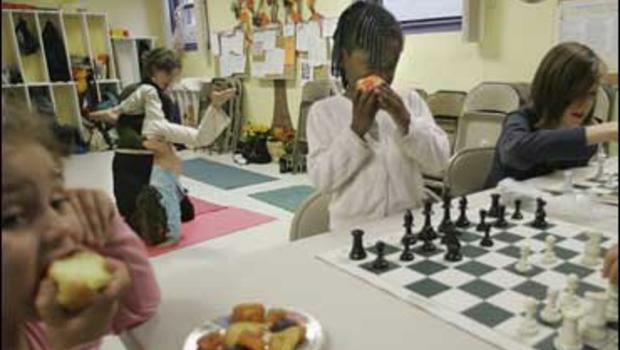 Brooklyn Free School’s mission is education for social justice. Always advocating for young people’s voices to be heard, BFS engages students and staff in democratic decision making and problem solving. We honor student choice and facilitate student-centered learning through play and exploration, constructivist teaching, collaborative course work and self-directed student initiatives. We support social and emotional development through conflict mediation, personal reflection, diversity awareness and community responsibility. BFS works in the service of students and their families, partners with progressive educators, and embraces our larger community. Curriculum at Brooklyn Free School is flexible and evolving, informed by observation of students, an understanding of child and adolescent development, student and teacher interests, and constructivist pedagogy. This approach to teaching supports students making connections, building on what they already understand, and creating knowledge. On any day, at any moment, young people at BFS are involved in a wide range of activities. Some are spontaneous bursts of student initiative, like making a puppet show or creating a school newspaper; others are thoughtfully planned by teachers, like ongoing writing workshops, engineering projects, and creating a model UN. Some are individual pursuits, like building and decorating an elaborate cardboard house; others are group efforts, like putting on the annual school musical. All these activities offer many ways for young people to learn and many things for them to learn about. Reading, writing, and math are woven into daily pursuits in the Lower School and are also the focus of book clubs, publishing parties, the math Olympics and other math events like Pi day. In the Upper School these skills are applied in history, literature, geography, philosophy, science, and a wide variety of other classes. The Democratic Meeting is the heart and soul of Brooklyn Free School. Once a week the entire school comes together to make announcements, voice concerns, discuss problems, and work together to improve the daily functioning of the school. The all-school Democratic Meeting takes place every Wednesday from 10:45 to 11:45 am. During these meetings, students learn democracy by practicing democracy. Meetings are chaired or moderated by students. Anyone can create an agenda item or topic to be discussed. Proposals are made and can be passed with a two-thirds vote in favor. Everyone who regularly teaches at or attends the school, from the five-year-old students to the oldest staff member or parent volunteer, has one vote. One of the best parts about the process is that, because it is flexible, we can change it. Last year, for example, students and staff formed the Committee to Improve the Democratic Meeting to do just that. This is the model we’d like to see more of society’s institutions adopt—a democratic process that involves all participants equally, that can be continuously changed and improved, and in which the members of an institution feel invested and empowered.